Join us on the Vintage RPG Patreon for more fun and surprises! Tongues wind up tied (00:44) as Hambone opens the episode and the guys talk about hard to pronounce fantasy names. Stu talks about a nifty two-player card game called The Blood of an Englishman, based on the fairy tale of Jack the Giant Killer (02:22) and admits the cover art sold him. It’s a little bit like head-to-head solitaire (03:04) mixed with chess (04:00). 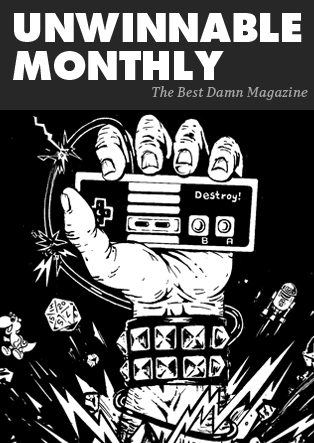 The guys discuss the pleasures of small games that are quick to play (04:40). On to the main event: Masks of Nyarlathotep (05:25). Stu breaks down some of the huge scope of the Call of Cthulhu campaign (05:46) and gives a rundown of what the scenario is about and its place in RPG history (06:34). He reveals the He-Man connection (07:10). They discusses how big and complicated a game it is (08:29). Stu gives a bit of background on how he set up the campaign with other Call of Cthulhu scenarios (09:50) and the guys discuss one of Hambone’s awful character deaths (11:00). 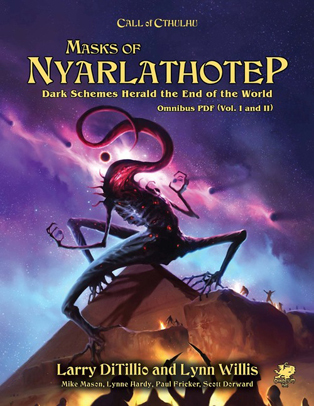 Stu segues to discuss Chaosium’s expanded re-release of Masks of Nyarlathotep for the 7th edition rules (11:30) and talk turns to the fan-made Masks of Nyarlathotep Companion (11:53) and a Gen-Con adventure to secure a copy of it. Stu wonders what a Masks campaign would be like if Jackson Elias doesn’t die in the beginning (14:54) and Hambone asks if Stu could run the new version for the same group and not have it be boring and predictable (15:30). Hambone wonders how much experience someone needs to run the campaign (18:22). Stu moves on to talk about Spire: The City Must Fall, by Grant Howitt and Christopher Taylor, a game that reimagines drow as revolutionaries fighting to destroy the oppressive government that rules them (23:48). He loves it. Go buy it. See ya in two weeks (26:23)! Clarification: Boss Monster is for 2-4 players. Clarification: We firmly believe that there is no right or wrong way to pronounce Nyarlathotep or any other made up fantasy/horror name. However you want to pronounce it, that’s the right way. 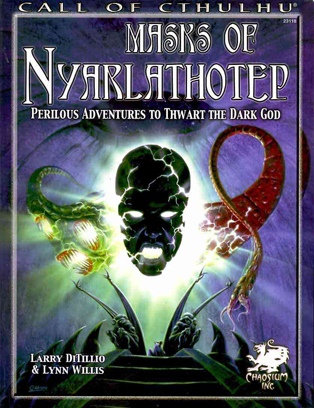 If you want to really break it down, Nyarlathotep is probably “correctly” pronounced Nee-Ar-Lat-Ho-Tep, with a hard “t” and a distinct “h,” not a soft “th.” But we do we, so you do you. Elaboration: The scenarios Stu ran in the run-up to Masks were: “Tatterdemalion” (from Fatal Experiments), “The Haunting” (from the Call of Cthulhu 6th edition rule book), “Watcher in the Valley” (from Tales of the Miskatonic Valley), “The Gods of Mitnal” (from The Masks of Nyarlathotep Companion) and “Dead Man’s Stomp” (from the Call of Cthulhu 6th edition rule book). 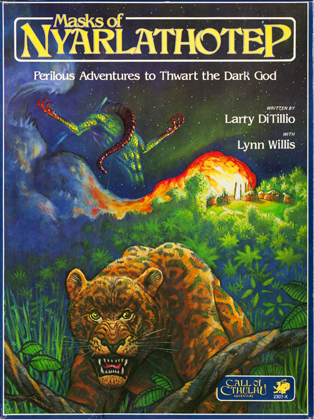 Elaboration: Stu mentioned some D&D campaigns that might prepare a game master for running something on the scale of Masks of Nyarlathotep. 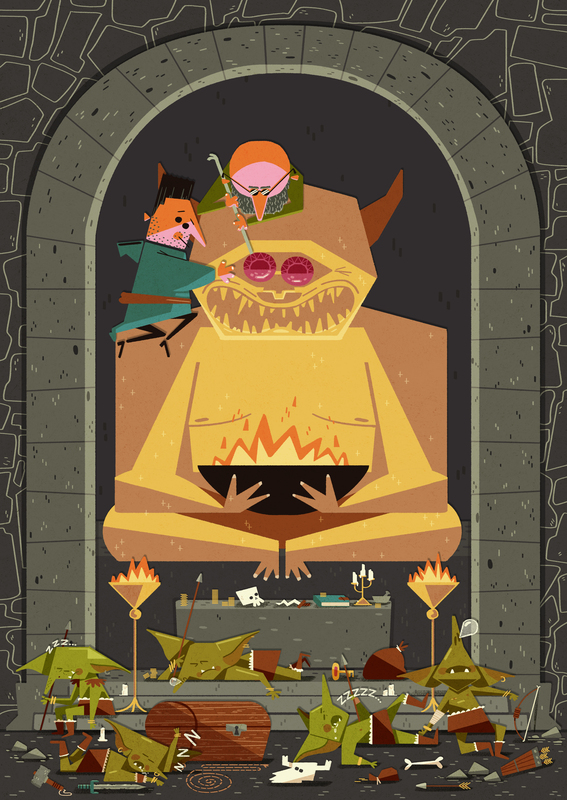 Off the top of his head: Night Below, Return to the Tomb of Horrors and the two part Planescape campaign contained in The Great Modron March and Dead Gods. These are all large scale stories that require a fair amount of NPC and mystery management that reward non-violent approaches to varying degrees. Still, none of them require quite the amount of clue-keeping as Masks.